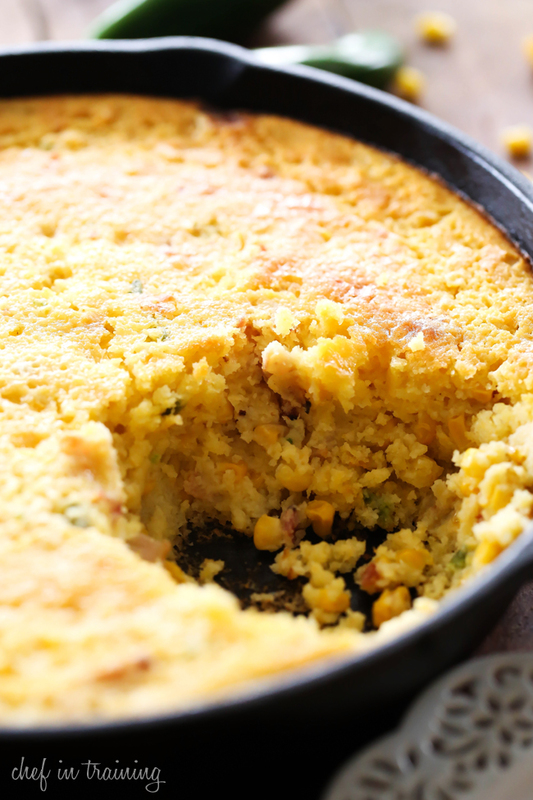 Sweet Corn Jalapeño Bacon Spoon Bread… This recipe is absolutely AMAZING! It makes such a flavorful and delicious side dish that will quickly become a new family favorite! The texture and taste are amazing! Can you believe this is the last day of September?! This year is going by in warp speed! It is absolutely crazy! The days are also going by crazy fast and there never seems to be enough hours in the day to get done all that I want/need to. With all the busy days, I am always looking for the quick and easy menu ideas. Side dishes always seem to be the hardest part for me. I am always on the hunt for amazing side dishes. New ideas to change things up from the norm. This recipe is phenomenal and will now be a regular at our home! The texture is amazing and it is packed with yummy flavor. The jalapeños and bacon really give it a unique and absolutely mouthwatering flavor that just can’t be beat! If you are looking for a new and delicious side dish idea, give this one a try! It is SO simple and will quickly become a new family favorite! This recipe is absolutely AMAZING! It makes such a flavorful and delicious side dish that will quickly become a new family favorite! The texture and taste are amazing! Lightly grease 10 inch cast iron skillet. In a large mixing bowl combine, muffin mix, cream corn, whole kernel corn, melted butter, sour cream, eggs, salt, sugar, and flour and mix well. Stir in bacon and jalapeños. Pour into skillet and bake at 375 degrees F for 35-45 minutes, or until spoon bread is set. 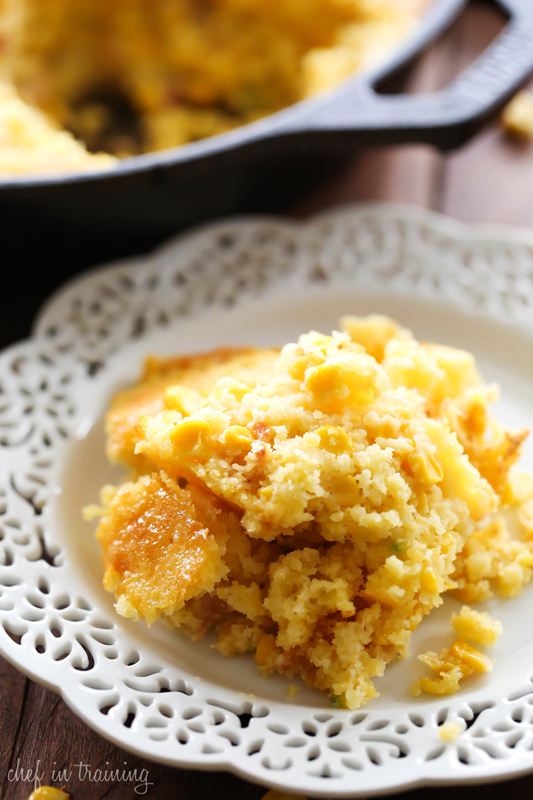 Such a delicious way to do cornbread and I adore the jalapenos in it! I can't wait to try this one on Thanksgiving. Does the bacon need to be cooked or goes in raw? I'm not a bacon person, but I am mad for spicy cornbread. The sweet corn with that jalapeño makes me want a HUGE spoon to down this with. Is the bacon supposed to be cooked? Wow. This looks amazing. I can eat this bread on its own. I have a corn spoon bread recipe on my blog but it's just plain old corn. This is awesome! I just love your blog..Your recipes are yummy and family friendly..thx. This was a great recipe. I added half a cup of shredded cheese and substituted pickled jalapenos chopped up and it was so flavorful and spectacular. It was not around for very long because everyone was eating the leftovers, it is even better reheated! Baked this in my favorite cast iron pan and it turned out wonderfully.